We all love that surprise treat and what perfect day to spread the joy. 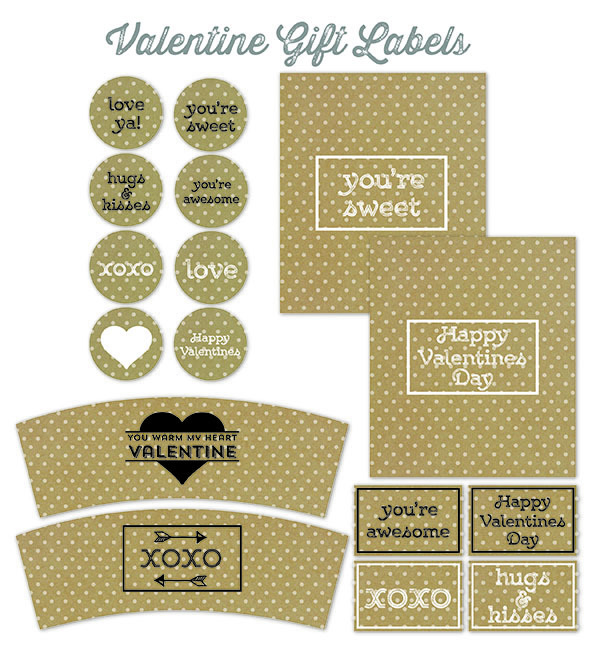 With this set of labels you can add a special touch on a treat for your friends, co-workers and the love of your life. Designed by the team at liagriffith.com, these labels come in a playful polka dot kraft paper set or a pretty blush watercolor set. 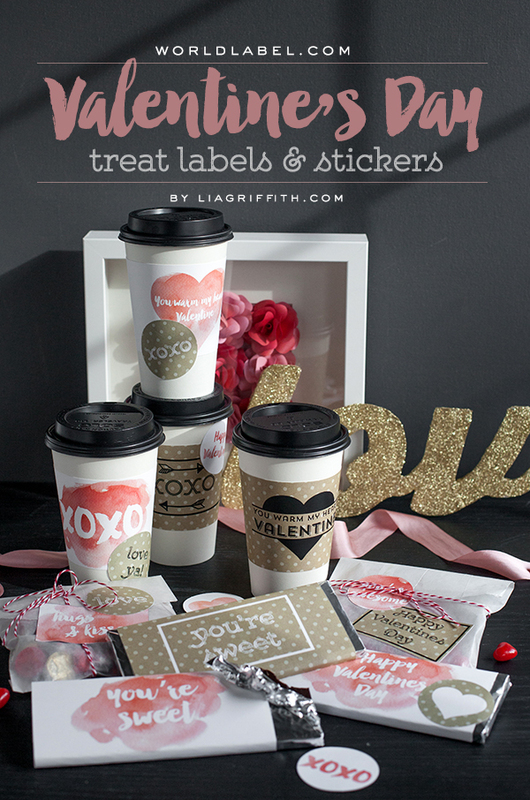 There are labels for coffee or hot cocoa cups, chocolate bars and to add to bags of goodies. Simply download the PDF and print onto a full sheet label paper. You can then easily trim with a craft knife, scissors or circle punch. These labels are sure to bring a smile. 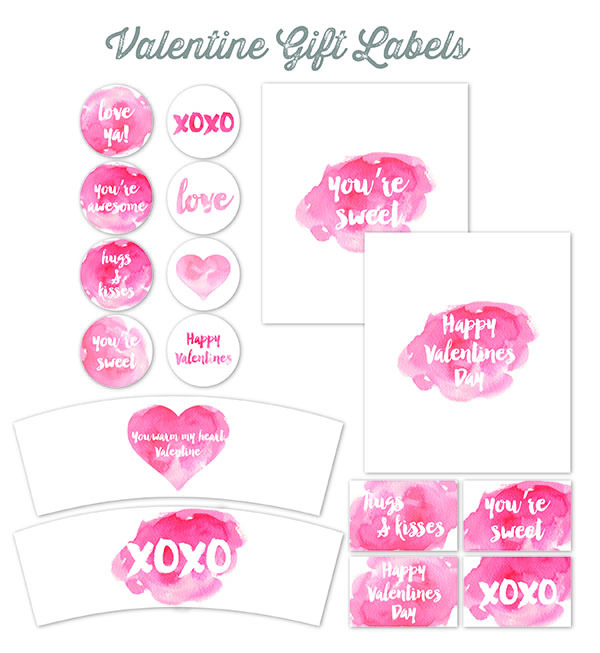 This entry was posted in Label Design, Labels & Printing and tagged free label templates, free labels, free valentines day labels, love labels, printable labels, valentines day label templates, valentines day labels, valentines labels, watercolor labels on February 6, 2015 by wlmanager.